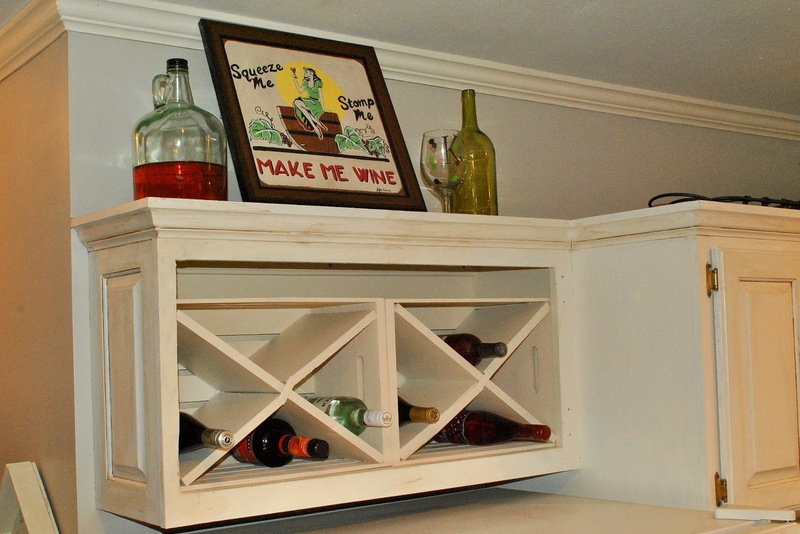 I built me a wine rack, yall! Our kitchen has been undergoing alot of character building lately. 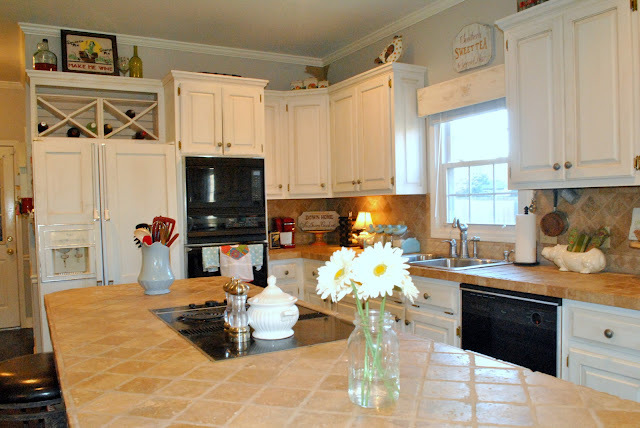 What was an outdated, blank-slate kitchen with no built-ins or "character nooks", is now becoming a more customized and functional space. You can remind yourself how our kitchen started here and here and here. The mini-cabinets everyone has over the refrigerator were never used for much in our house. I decided to create a built-in wine rack to utilize and showcase the space, like this picture shows. 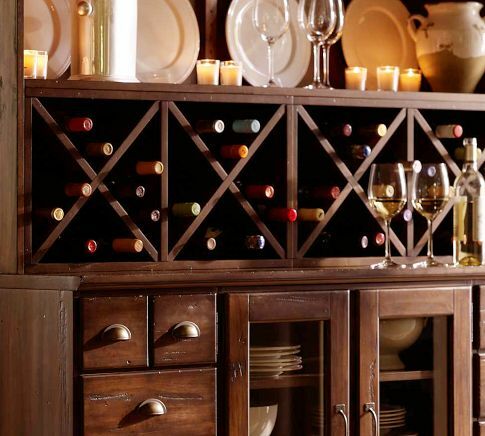 I loved the look of the X cube wine racks, like this one from Pottery Barn. 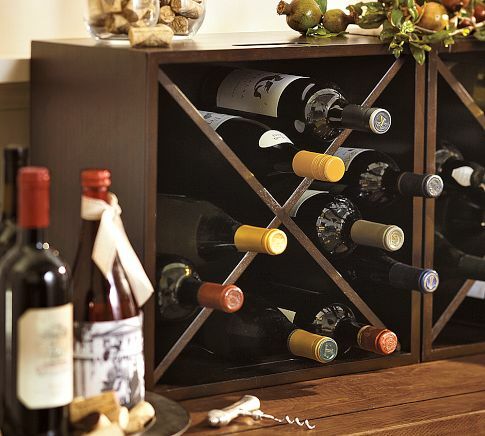 I considered buying a ready-made wine rack with the correct dimensions and placing it inside. I couldn't let myself do that. It's too easy. I first removed the doors, then the random assortment of screws, pictures, magnets, and a wedding invitation I had misplaced before rsvp-ing...oops. 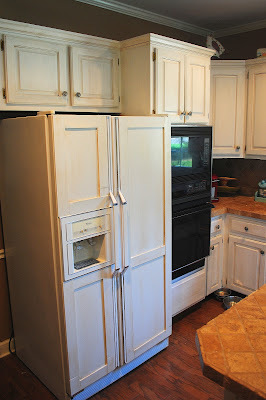 I sawed off the center vertical piece of wood then painted the inside to match the cabinets. I found 2 wood crates at Jo Anns ($12 each) that when placed side by side were the perfect length to fill the cabinet. I painted both crates the same color. I bought 2 pieces of scrap shelving from ReStore for $2 each and cut my pieces to create the "X" slats to separate. For each crate, I needed one 19.5"x9.25" piece. And two 9.25"x9.25" square pieces. I placed the 3 wood pieces inside to insure that they fit, then used mending plates to connect the 2 smaller pieces. I screwed the mending plate into the front facing side, bracing the two small pieces together like a bridge over the long piece. and flipped those pieces so that the mending plate was now at the back of the crate. I placed the large piece in between, and installed the second mending plate on the front facing side. This way, the 2 separate pieces were connected at the front and the back. I painted everything and waited so impatiently for it to dry. I ended up needing to saw about 1/8th of an inch from the inside edge of the open cabinet to have just enough room to slide the crates inside. It just took a minute. And with that, it was done! I propped my wine painting from my old apartment on a brick over the cabinet, with a wine bottle, wine jug, and wine glass. Now I most certainly need more than 6 bottles of wine. I will need to buy some more. 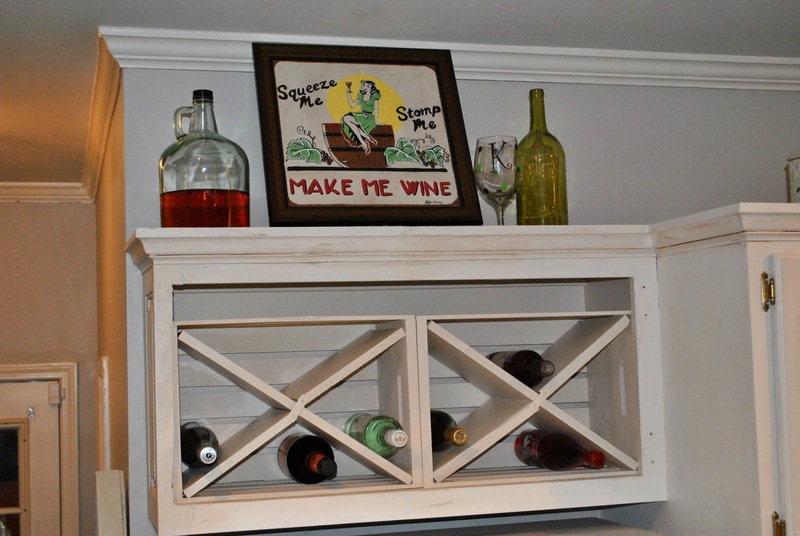 Two, $12 crates + $4 in scrap shelving + paint and mending plates on hand = $28 wine rack. I found your blog from better after. I have to say I absolutely love every one of your posts and furniture transformations! You are very creative! I wish I could comment on every single post. I really loved your DIY custom built in fridge! amazing! serious face - ah-mazing! i found your blog today via better after and about two hours later i am STILL drooling! you do great work lady!! ahhhh, i live in IL and i'm getting ready to buy a make-it-a-home, home and i think you need to make a trip up here. lol. seriously - awesome projects!! pat yourself on the back sister. I would love to know how you did the refrigerator. I bought a used one and want to update it for my new house.